A mortgage is an ongoing debt, which usually takes several years to pay off and requires a long-term commitment on your part. Most people get a mortgage in their late 20s or early 30s and only manage to pay it off when they are on the brink of retirement. Now, the question to be asked is – what happens to your mortgage and your home if something were to happen to you? Unless you are independently wealthy or have someone in the family who is unusually wealthy, your family might find it hard to pay off the mortgage after you are gone or if you are unable to work and earn like you have been doing. This is where mortgage protection insurance can help you. Read on to learn about how to find the best mortgage life insurance policy for you. Mortgage protection insurance protects your home and makes sure the debt burden is not passed on to your family in the event of your premature death. The policy is usually structured in such a way that the death benefit pays the mortgage off completely. A mortgage repayment is the single biggest burden that most families have to deal with if the primary earning member passes away prematurely. Even if your spouse has a stable source of income, making mortgage payments while taking care of the family’s needs can be an incredibly difficult task. Haven Life is backed by A++ rated Mass Mutual, and is our #1 recommendation for mortgage life insurance. Competitive rates and best in class application process earn it the #1 spot. See an accurate quote before applying. Note: May require exam. AIG, also know as American International Group, has been in business since 1919. AIG's strong financial rating, product selection and competitive pricing earns it the #2 spot for mortgage life insurance. Get a quote by clicking below. Ethos is backed by Assurity life insurance, which has very strong financial ratings. Ethos offers a term life insurance product that is trusted and affordable. This earns Ethos the #3 spot for the best mortgage life insurance. If your spouse does not have a stable source of income and if your children are still in school, there is no way they can afford the mortgage payments. In these types of cases, they are usually left with only one option – selling the house. If your house has positive equity – if it is worth more than the amount you owe the lender – your family can sell it, use the money to pay off the mortgage completely, and keep the rest for their own needs. This is, as they say, making the best of a bad situation. If your house does not have positive equity – if it is worth less than the amount you owe the lender – your family has no other option but to simply move out and let the lender foreclose the property. In either of these scenarios, your family has to sell the house, move into a different place, and downgrade their lifestyle. What is even harder is that letting go of your house can be a difficult decision, as people usually develop an emotional attachment with it. This is why mortgage protection insurance becomes necessary, as it is one of the best ways to make sure your family still has a roof over their head when you are gone. Mortgage protection insurance can be primarily classified into two types – mortgage life insurance and mortgage payment protection insurance. Mortgage life insurance is designed to pay off your mortgage if you pass away or if you are rendered permanently disabled. The payout usually matches the full value of your mortgage at the start and decreases gradually as you repay your loan. The rate at which the payout decreases is usually proportional to the rate at which your mortgage balance decreases. This information is important when selecting the best mortgage life insurance plan. In most cases, the bank is both the policyholder as well as the beneficiary. If you pass away, the bank gets the payout, which usually covers the entire outstanding amount on your mortgage. Some insurance companies, however, offer mortgage life policies in which you can choose your own beneficiaries. For example, State Farm offers a policy in which the death benefit covers your entire loan amount at the start and decreases at a steady rate as you repay the loan. The death benefit, however, does not go below 20% of your policy’s original face value at any point. Whenever you pass away, your family receives the death benefit as a lump sum, which is not taxable. Is mortgage life insurance required? While not required, mortgage life insurance is absolutely necessary for those who are unlikely to qualify for a regular life insurance policy. For example, if you have a high-risk job (firefighting, mining, construction, and so on) or if you have major health problems, you might find it hard to get a term life policy that covers your mortgage loan as well as your family’s financial needs. Even if you do manage to find a policy of this type, you are likely to be charged at a much higher life insurance rate owing to your line of work and health condition. In cases such as this, a mortgage life insurance policy might be a perspicacious option for you. These policies usually have a much higher acceptance rate than regular term life policies. So, if you can afford the premium, you are most likely to get qualified for the policy. It is easy to get qualified for these policies, as they have low entry barriers and easy-to-meet eligibility criteria. You can rest assured knowing that your mortgage will be fully paid off even if something were to happen to you. The premiums remain the same throughout the term of the policy, but the death benefit continues to decline. Even towards the end of the loan term, you are required to pay the exact same premium that you paid at the beginning, whereas your payout at this point is likely to have reduced to a mere 20% of the original face value. If you choose a traditional mortgage life insurance policy, the lender is likely to be the beneficiary, which means the death benefit goes straight to them, not to your family. Basically, mortgage life insurance is an excellent choice for people who are uninsurable or can only be insured at high rates due to the nature of their work, health issues, and other factors. If you, on the contrary, are healthy and have a stable, low-risk job, you might want to take a look at the other options available. To protect your home and family, you should choose the best possible mortgage protection insurance company that stands out in stability, reputation, and affordability. Transamerica offers a unique return of premium (ROP) term life insurance policy called Trendsetter ROP 30. This policy is also ideal for new homeowners who are looking for mortgage protection. The ROP term life policy provides them adequate mortgage protection, and in addition, it gives them a return of premiums paid if they live beyond the term of the policy. If something happens to the insured home owner, the death benefit of the policy can help the beneficiaries cover the remaining unpaid mortgage. But if the insured home owner outlives the level premium period, the return of premiums will provide a good amount that can be used for home remodeling, down payment on a new home, or any other purpose. AIG (also known as American International Group) is the world’s largest insurance company with more than 13 million customers. It has been in business for more than 160 years, and is rated “A” (Excellent) for financial strength by AM Best. The company offers competitive rates for term life insurance, particularly if your mortgage amount is higher. Some analysts recommend that you may consider AIG for your mortgage protection insurance if your mortgage balance is at least $300,000 or more. Protective offers competitive and customizable insurance solutions across the country for people looking for mortgage protection. This 100-year old company is recognized as a customer-centric, values-driven insurance company in the US. Protective offers a unique term life insurance product called Protective Classic Choice Term, which is considered to be a good option for homeowners seeking mortgage protection. The company claims that its rates are up to 49 percent lower than the competition for this policy. So if you are looking for solid mortgage protection insurance at a competitive rate, you may check out Protective through a reliable insurance agent. 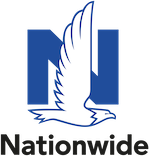 Nationwide is a Fortune 100 company offering a comprehensive range of insurance and financial services, including mortgage protection insurance. Furthermore, it offers services for convenient payments for homeowners who want to combine their insurance premiums and monthly mortgage payments. If you are a homeowner with a mortgage, your bank that is invested in the loan (your lien holder) will likely require you to have insurance on your home. Nationwide typically partners with banks to allow its members to combine their monthly mortgage bill and insurance payments (known as escrow). You can discuss with your insurance agent to learn more about these types of options that offer protection along with convenience of payments. Consider a Mortgage Protection Insurance policy from State Farm Life Insurance Co. (not licensed in NY, MA, or WI), or State Farm Life and Accident Assurance Co. (for residents of WI and NY only). State Farm lets you choose the coverage you require based on your remaining mortgage balance. When the first five years are completed, the death benefit (that is intended to serve like your mortgage), reduces over the life of the policy. However, it will never be below 20 percent of the original face value of the insurance. If you also have State Farm auto insurance, buying a State Farm Mortgage Life insurance policy could entitle you to discounts on your auto premiums. The company offers a multi-line discount program. If you require lifelong coverage, you can simply convert your mortgage term life policy to permanent coverage, irrespective of your health status. State Farm allows you to customize your mortgage protection insurance policy with riders and options that will add greater value. The rates for a mortgage life insurance policy will be the same as a term life insurance policy. The rates are calculated based on your age, height, weight, gender, medical history, coverage amount and term length. Longer term lengths and coverage amounts equate to higher rates. Speak with one of our licensed agents at 888-407-0714 to get an accurate mortgage life insurance quote. This is a specific type of mortgage protection insurance which is designed to pay your mortgage for a particular period of time if you are unable to work due to the following reasons. If you are disabled due to an accident or illness, you could be out of commission for weeks or even months, depending on your condition. During this time, you might find it very difficult to make your monthly mortgage payments. In regards to this situation, a mortgage payment protection policy can be immensely beneficial, as it can provide you with a monthly income to pay your mortgage. You can receive the payments as long as you are disabled and not in a position to get back to work. Once you get back to work, the policy will stop the monthly payments. If you lose your job suddenly, it might be very hard for you to make your mortgage payments while taking care of your family’s needs at the same time. Again, in this scenario, a mortgage payment protection policy can provide you with a monthly income until you find another job. There are, however, a number of exclusions to both these clauses, in which case the insurance company might not pay you. When it comes to mortgage payment protection policies, you generally have three choices – policies that provide illness and injury coverage, policies that provide unemployment coverage, and policies that provide both types of protection. The third type is typically more expensive than the first two, but it offers you comprehensive protection against unexpected setbacks in professional life, health problems, and periods of instability during which you might struggle to make your loan payments. Mortgage payment protection policies typically have a deferred period, during which you will not receive any payment. For instance, some policies insist that you have to be out of commission for at least 30 days before the monthly payments can start. The specific deferred period as well as other related conditions might differ from one insurance company to another. Mortgage payment protection insurance is designed to cover your loan payments only for a specific period of time. Once you recover from your illness or injury or get a new job, the insurance company will stop the payments. Life insurance companies also have a rule wherein once you have claimed your illness/injury/unemployment benefits, you have to wait for a certain period of time before making another claim. In the mean time, you have to keep paying the premiums to make sure the policy stays in effect. You might not qualify for mortgage payment protection insurance if you only have a part-time job or a seasonal contract. Many people think that they are better off buying a regular term life policy, in which the death benefit remains the same throughout the policy term, instead of a mortgage life policy, in which the death benefit depreciates throughout the policy term. How valid is this argument? Let us find out. If you have a 30-year mortgage and buy a 30-year mortgage life policy, the death benefit usually keeps reducing year after year and becomes a fraction of the original face value by the end of your loan term. If you, on the other hand, buy a traditional term life policy, the death benefit remains the same until the end of the term. In other words, if anything were to happen to you towards the end of your loan term, a mortgage life policy will pay about 20% of the original face value. A term life policy, on the contrary, will pay the entire amount, which your family can use not only to pay off the mortgage, but for other needs as well. It certainly sounds like a much better option, but there are a couple of things you need to consider. A 30-year term life policy is likely to cost you more than a 10-year policy or a 20-year policy, as your premium generally increases proportionate to the term length. Your premium remains the same throughout the term of the policy, which means towards the end of your loan term, you will still be paying the same premium that you paid during the first year of the policy – at a time when you no longer need so much coverage, as your mortgage is almost paid off. One option available for you is to choose a hybrid mortgage life policy, which combines the benefits of mortgage life and term life insurance. Protective offers one such policy, in which the premiums are lower than a traditional term life policy and offers a higher coverage throughout the term of the policy. For example, if you choose a 20-year policy, the death benefit remains the same for the entire period, just like a regular term life policy. The premiums, on the other hand, are lower. If you pass away during the 20-year period, your beneficiaries will receive the entire death benefit amount, which is usually higher than what a traditional term life policy offers. You also have the option of extending the policy after the 20th year by continuing to make the premium payments. The death benefit, however, starts to decline after the 20th year at a steady rate. By the time you pay off your mortgage, the death benefit is likely to be 10% or 20% of the original face value. The advantages of this type of policy is that the premiums are lower, which means you spend less money compared to what you would spend on a traditional mortgage life or term life policy. The coverage is much higher and remains the same till the policy ends. If you extend it for another 10 years, the reduced death benefit at the end of your loan term is still sufficient to pay off any outstanding mortgage payments. So, which one do you choose? It depends on your needs really. If you think that your family could benefit from the payout from a term life policy, particularly towards the end of your loan term – since the mortgage would have reduced significantly by the time and could be paid off with a fraction of the death benefit – it might be an astute choice for you. If you, on the other hand, have a high-risk job, dangerous hobbies, or health problems due to which you might not qualify for a term life policy or might have to accept a significantly increased premium, a mortgage life insurance policy might be the best option for you. In which case, you can sign on the dotted line for a traditional mortgage life policy or a hybrid policy like the one mentioned above, depending on your needs. We have discussed mortgage life insurance and mortgage payment protection insurance, both of which are voluntary. They are meant for people who can afford to make a standard down payment and are considered credit worthy by the bank. Now, what happens if you cannot afford to make a standard down payment? What happens if you are not considered credit worthy by the lender? This is where private mortgage insurance comes into the picture. It is designed to protect the lender in case you default on your mortgage payments. It is different from a traditional insurance policy in the sense that the payout is not meant for the benefit of your family, but meant as a safety net for the lender. If, at any point during the term of your mortgage, you are unable to make the payments and default on your loan, the bank usually forecloses your property. However, if the value of your property is less than your outstanding loan amount, the bank might not be able to fully recover its costs even after the sale. In such a scenario, if you happen to be a PMI policyholder, your bank will be able to receive the payout and recoup its costs entirely. Generally, you are required to buy PMI if you are not able to pay at least 20% of the total loan amount as down payment. People who cannot afford to make a standard down payment are usually deemed too risky to lend by banks and other financial institutions. In these kinds of cases, without turning you down outright, the bank offers you a choice – you can qualify for the mortgage if you are willing to buy a PMI policy. The insurance premium is usually added to your mortgage payments, which means your monthly installments will be higher than what others (those who can afford to make a 20% down payment) usually pay. The amount you pay towards PMI does not remain the same throughout the term of your loan. Since the insurance is linked to your mortgage, the premium amount reduces gradually as you build equity. Moreover, you are not required to keep paying PMI throughout the term of your loan. The Homeowners Protection Act of 1998 requires banks to cancel PMI once a customer has repaid 78% of the mortgage. Unfortunately, many banks do not follow this particular rule and keep charging PMI throughout the loan term. You can, however, prevent this by being proactive. You can keep track of your payments, notify the bank when you have paid off nearly 80% of your loan, and request them to cancel your insurance. The most vital aspect you need to remember about PMI is that it is not designed for your benefit at all. It is meant to offset the risk that a bank takes when it offers you a mortgage loan. Ideally, it should be your last resort and you should put ink on paper only if you have absolutely no way of making a 20% down payment. Before choosing any mortgage protection policy, you need to ask yourself if you really need it or if you are buying it solely based on the recommendation of the bank or the insurance agent. The unfortunate reality is that many banks indulge in unethical practices when it comes to selling mortgage protection insurance. Banks often try to talk their customers into buying mortgage protection insurance, even in cases where it is not required. For example, if you and your spouse both have a stable job and a steady source of income and if you have saved up a decent amount of money for a rainy day, you might be able to make your mortgage payments even during periods of instability – illness, accident, or loss of job. So, you might not need mortgage payment protection insurance at all. There is no point in buying it just because your bank asks you to. This is not to say that you do not need mortgage protection insurance if you have plenty of money saved up. You might have earmarked those savings for a different purpose or you might end up spending the money for a completely different purpose, as life is unpredictable. In such cases, mortgage protection insurance could just be the safety net you need. The point, however, is that it is a decision you need to make for yourself. You have to consider a number of factors including your employment status, income capacity, and the needs and wants of your family – both in the short term and long term, among others. You have also need to have a contingency plan in place for unexpected expenses. After making a list of all these things, you can assess your situation and decide if you need mortgage protection insurance and if you do, what kind of policy is the right choice for you. Before buying the policy, you should talk to an exceptional and prudent financial advisor, compare insurance quotes from different companies, and choose a policy that best suits your needs. Compare the differences between whole and term life insurance in our detailed comparison guide. Learn the ins and outs of shopping for life insurance. Find the lowest rates with these tips. Learn the US tax law regarding life insurance payout. See when a life insurance payout is subject to taxes. See what your options are for covering funeral expenses with a life insurance policy. How fast can you get a life insurance policy in place? See our guide to life insurance approval time.